Satan: Mortal! I come offering a deal - Guy: Read the sign. 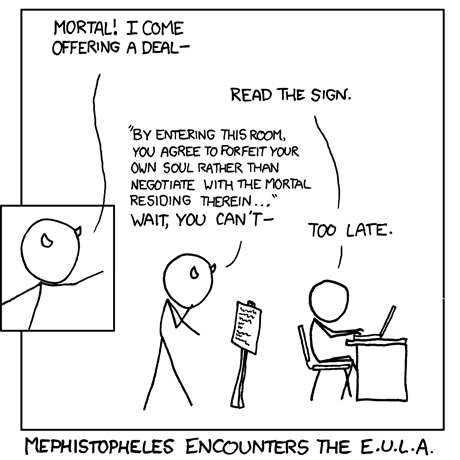 Satan: "By entering this room, you agree to forfeit your own soul rather than negotiate with the mortal within..." Wait, you can't - Guy: Too late. Caption: Mephistopheles encounters the E.U.L.A.